Do you have the January blues? It’s that time of year when we all turn our thoughts to the summer holidays! Are you in the mood for a vacation experience that’s beautiful, tropical, exciting, and close to home? Check out Bournemouth beaches this summer. Long regarded as one of the most beautiful and thrilling locations to visit in the UK, Bournemouth is the “gem” of the southern side of the UK. Equipped with seven miles of golden sandy beaches, and countless exciting activities to choose from, there are a million reasons why you should head to Bournemouth for the summer. 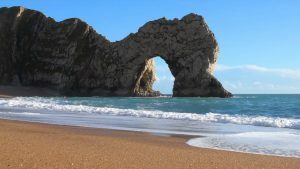 Located within the county of Dorset, Bournemouth is the perfect solution for people who want to explore Dorset, or simply make the most of the seaside. Why Choose a Vacation in Bournemouth? Bournemouth is the ultimate vacation destination for visitors to the South Coast. A colourful and vibrant resort with miles of panoramic views and sandy beaches, Bournemouth is a cultural cosmopolitan town brimming with countless bars, restaurants, shopping destinations, and activity locations. A host of Attractions: Whatever the weather, Bournemouth has countless exciting attractions to choose from, from amusement arcades, to galleries, museums, crazy gold, and even an oceanarium. No matter who you choose to bring with you, there’s something for everyone. Plenty of activities: Whether you prefer to live life at a more relaxed pace, or you’re more of an adrenaline junkie, Bournemouth could be the perfect place for you. From golfing weekends, to quad-biking, choose a range of activities for the whole family. Shopping and culture: Bournemouth is home to a fantastic mix of shops and historical locations to visit. From boutiques and department stores, to designer brand favourites, there’s so much to explore. Plus, the beach is surrounded by coffee shops and cafes that you can visit for a quick bite to eat. From its bustling nightlife, to its incredible theatres and world-renowned gardens, there really is something for everyone in Bournemouth. If you’re looking for a stress-free vacation that ticks all of your boxes, Bournemouth could be the place for you.